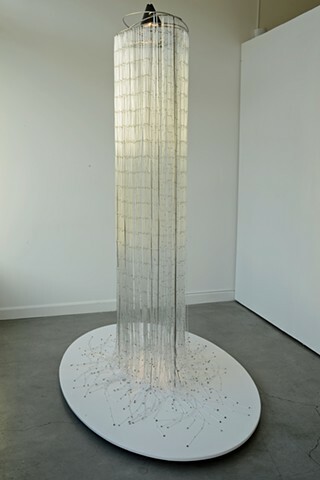 Breathing Space A cascade of thousands of delicate gold-tipped glass pipettes supported by an internally illuminated stainless steel structure that literally appears to breathe. 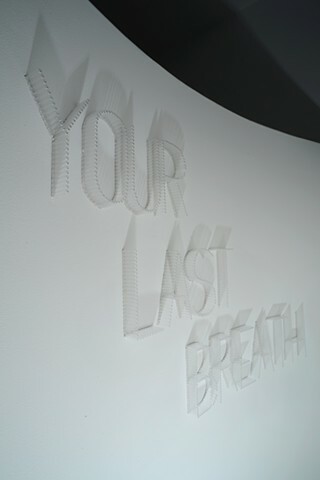 Your Last Breath High intensity lighting illuminates the stark interior of a concave wall embedded with tiny test tubes, casting a long upwards shadow. 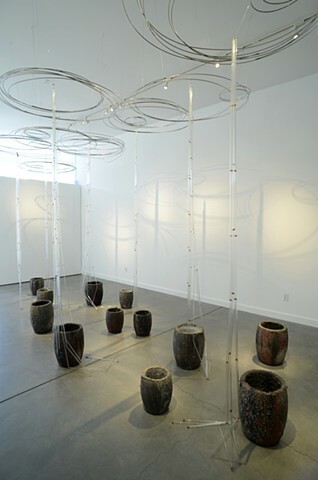 The Time Fallen Bodies Take to Recover 13 disused crucibles attempt in vain to capture glass rivulets streaming from overhead stainless steel ripples.